For basic information on the Berkshire County Road Running Championships, please see the article entitled "who, what, when, where". My name is Denise and I have been running for about 5 years as a member of Bracknell Forest Runners. There will be 4 races of different distance over the calender year. These races can be from anywhere from 5K to a marathon, but not every distance will run every year. 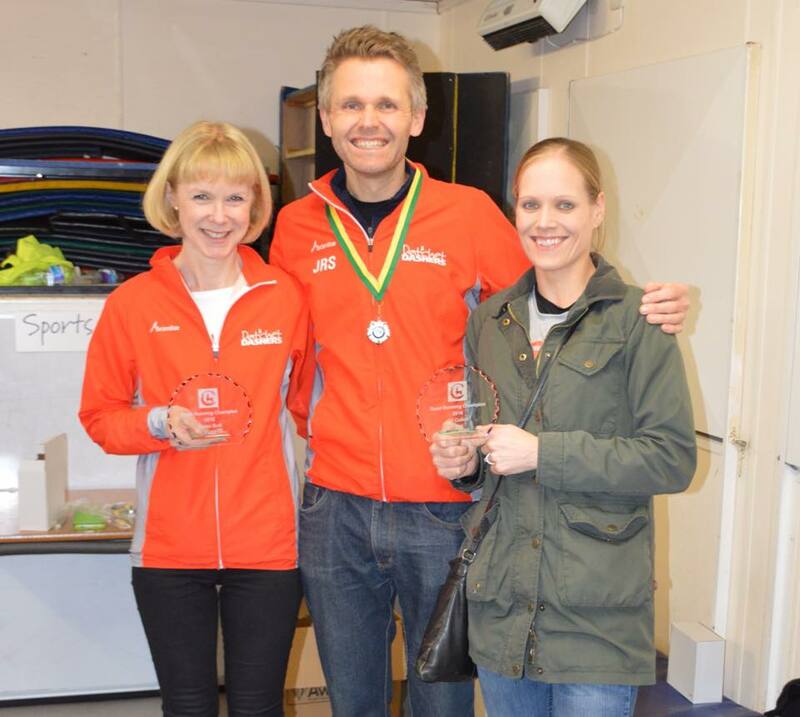 As normal medals will be awarded for the first three finishers in each age and gender category, with points also awarded for the overall Championship Trophy which is awarded each Novmeber at the County AGM. In order to keep this interesting, at least one of the races will be replaced. Having different races and distances each year will hopefully make these Championships more inclusive. The races chosen will either be in Berkshire (or very close to Berkshire). As a new feature to adult road running, we were invited to participate in a Souther Counties representitive road race in 2018. Its likley these will happen again in 2019, please look out for ad hoc announcements regarding how to put yourself forward for the team. Entries open on January 1st, please don't e-mail me before then. The Berkshire Road Running Championships also has a facebook page, do drop by and give us a like ! On a very windy day, just one step ahead of Storm Freya the Berkshire team faced stiff competetion from the fastest endurance runners in the South. The mens team came 8th, led home by Tom Easton (in 40th) and the ladies team (who all had to score due to illness and injury), came 5th led home by Becky Atkinson (12th lady). The championships are open to ANYONE and EVERYONE who either lives or was born in Berkshire. 1. Enter the races as normal with the race organisers. Many thanks to all the road runners who made it along to the AGM last night. Its been a great year, with 151 local runners entering the Championships this year and with 128 medals and 8 Trophys spread amongst 49 runners across 10 different clubs, lots to celebrate. 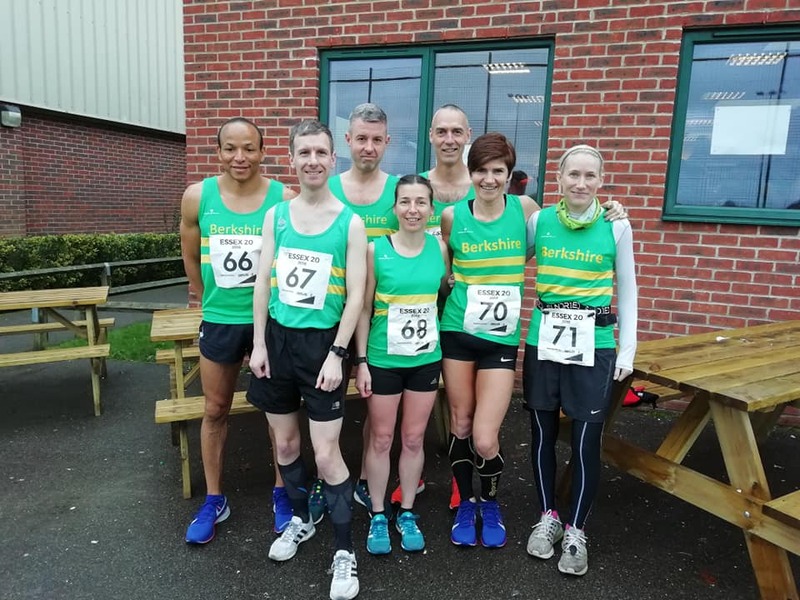 STOP PRESS: Exciting Opportunity to represent Berkshire County in Road Running. A Berkshire team will be selected and will compete against teams from at least 8 other Southern Counties. Each county will field a team of 8 athletes (4M and 4F) and this is open to ALL U20, Senior and Vet category runners (Must be at least 17 on race day). Championship results from these races will be available here as soon as possibles after each race. As a new approach the races chosen will change each year, just to make things a bit more interesting. We are currently doing well with entries, however remember that you must have your entry e-mailed in the DAY BEFORE the first race in the series you wish to be considered for. If you are expecting to see your name on this list and it isn't there, also e-mail me as you are not currently registered ! A team of 8 (4M/4F) will be selected. Awards will be made in female, male and mixed team categories based on the cumulative finising time of the first 3 runners. However, for team awards, medals will be presented to all 4 team members (8 for mixed team).